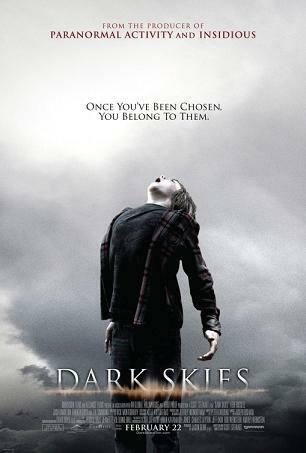 Dimension Films releases Dark Skies nationwide on February 22nd, 2013. NYC MOVIE GURU: How challenging is it to find a good role as an actress in Hollywood? Keri Russell: I’m feeling really lucky these days because when I read the script for Dark Skies, I thought that it could totally work. I believed the family and was worried for them. I believed the scary aspect of it. It’s real enough that I’d buy it. I love how beaten down [the character of Edwin Pollard played by J.K. Simmons] was by the reality of the situation. He’s not like some nutty scientist, but he’s just exhausted by it all, which is even worse somehow. With The Americans, this television series that I’m getting to do, I found it really interesting. I love how complicated and cold my character is, and she’s trying to be there, but she’s just figuring it out. So, I’m having a lucky stint right now. NYC MOVIE GURU: Where do you think that the husband's skepticism comes from? KR: Everyone would be skeptical in that situation. You don’t want to believe it. I think that there are already some very real issues that the family is dealing with such as money, an emerging teenager going out into the world, mortgage payments, possible separation of their relationship, and its effect on their kids. Maybe he’s in denial of some of those things, too, so I think the scary element is more of a metaphor. NYC MOVIE GURU: Do you think that the husband and wife in the film are truly good for each other? KR: Whether or not they’re good for each other, I think that it’s very real and relatable the way that they fight. The pressure of money [problems] alone is massive. She feels that she needs to work more, the husband feels inadequate, and the strain naturally happens that way. NYC MOVIE GURU: Why do you think writer/director Scott Stewart included the scene where the husband shares with his wife good news about his job, but she decides not to tell him her bad, yet crucial news from the Environmental Protection Agency? KR: Interestingly, we talked about that scene a lot because I said, “Is this going to work? We’re in the middle of a crisis here. Do you think they’re going to go and have this romantic time?” I think that the power of denial and wanting so desperately for things to be okay is massive. I think that’s what happens in that scene. He got a job, so he thought, “Wouldn’t it be easier and better if he just got that job and none of the other stuff was happening? Let’s definitely do that for a night. Let’s pretend that that’s our life.” I think that people do that all the time. NYC MOVIE GURU: How powerful do you think it is to rely on one's imagination, especially while watching sci-fi/horror films? KR: I think that Scott did a good job of this. The thrilling, supernatural elements of it really don’t happen until the last ten minutes of the movie, which is great. You’re experiencing this whole story with this family in very real ways. Reality-based fears are being played out and dealt with, and then this other stuff happens at the very, very end, and it’s terrifying. To me, the suggestion of something is always much more powerful. NYC MOVIE GURU: What are some sci-fi/horror films that have truly scared you? What do you think are the basical elements that turn a sci-fi/horror film into a classic? KR: Definitely Poltergeist, which we talked a lot about with this film. That’s a film that I was really emotionally invested in before the scary stuff started going down. In that genre, other horror/sci-fi films that I love are The Others and Pan’s Labyrinth. What makes them classics is that they’re not too topical; they just have general truths about families and/or human behavior. Also, maybe the way that they’re shot. I think Scott has a very visual taste and it was very beautiful the way he shot Dark Skies. But I don’t know what really makes a classic. It’s funny what sticks and what doesn’t. NYC MOVIE GURU: The wife in Dark Skies uses the internet to research the dark force. How reliable do you think that the internet is as a source of information? KR: I do love how the husband says to his wife, “That’s why we don’t self-diagnose on the internet.” I have so many friends who are, like, “I have this disease.” And I reply, “No you don’t. You read it online. Has any doctor looked at you?” It’s scary how everything is available to us on the internet, but it’s good, too. There are pros and cons. NYC MOVIE GURU: Where on the skeptic vs. believer spectrum do you stand when it comes to the paranormal? KR: I don’t rule anything out. That’s where I stand.